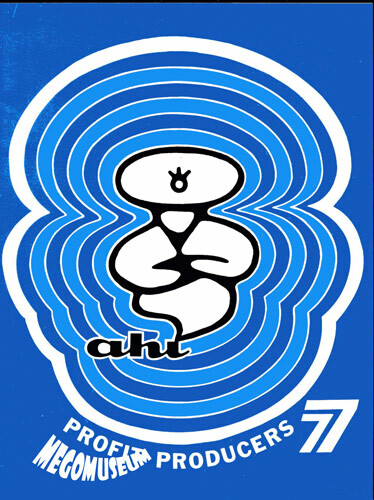 Azrak Hamway is perhaps one of the quieter success stories of the 70's. 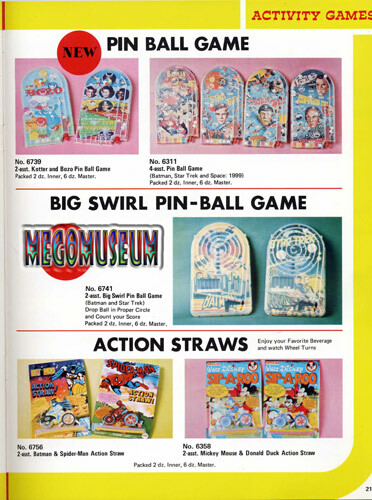 While nowhere near as prolific as Mego, one look at AHI's product breadth and the amount of licenses held makes you realize how much of a player they were. 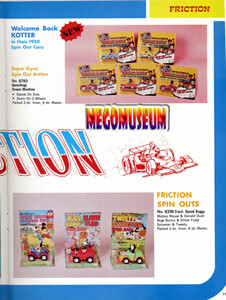 AHI was serious competition for Mego. 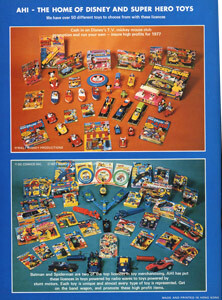 AHI operated under an umbrella of companies along with REMCO, a major toy manufacturer that only recently ceased producing toys. 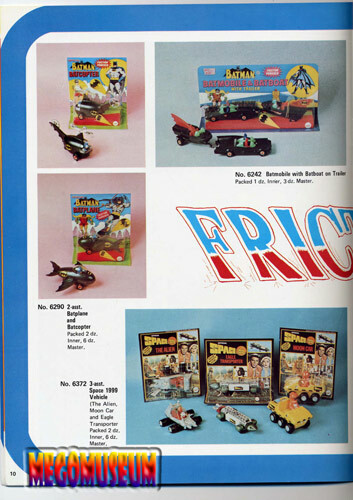 REMCO tended to get the "TV items" meaning products that had a budget for Television advertising. 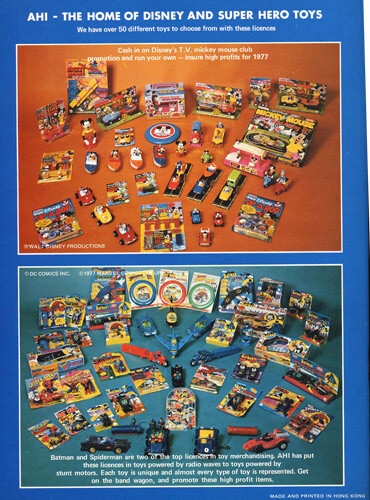 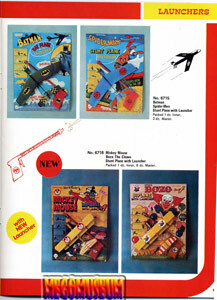 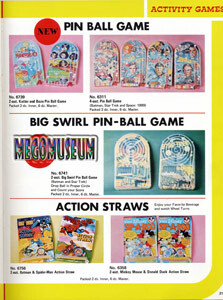 These products included the McDonald land action figures, AWA wrestling, The Warlord and the Energized series of Superheroes. AHI tended to sell more of a "rack toy" selection, small, inexpensive items that often were tied into a license. 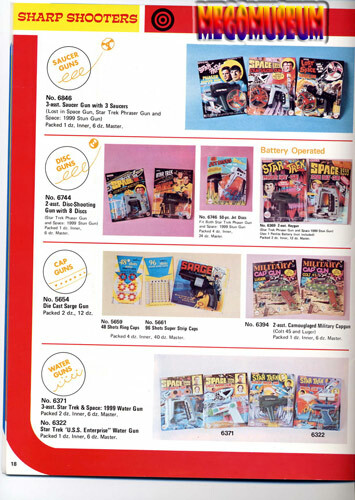 AHI was no slouch in the licensing department with enough brands to rival Mego, Star Trek, Space:1999, Universal Monsters, Welcom Back Kotter, Looney Tunes and the Six Million Dollar Man were just some of the offerings from AHI. 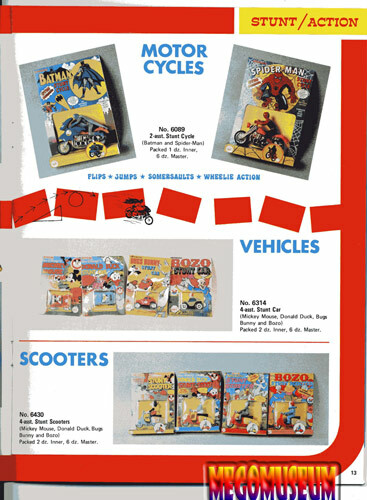 The company didn't traditionally enter into the action figure game, their two best known (and most popular) figure lines are the Universal Monsters (Something that would be passed over to Remco by the late seventies) and the "Astro Apes" a close cousin to Mego's Planet of the Apes line. 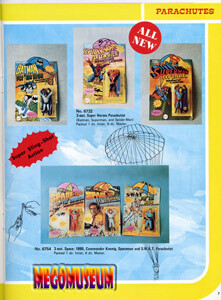 Mego felt the "Astro Apes" were too close to their toys and forced the issue legally. AHI who were also a 20th Century Fox licensee felt the pressure and ceased producing the figures. There probably aren't many children of the 70's who didn't at least have one Superhero parachute figure or Star Trek Waterpistol. 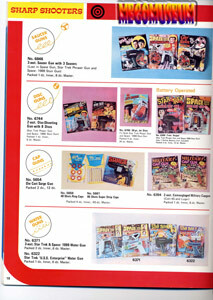 Thanks to the efforts of Mike J we can view these items again. 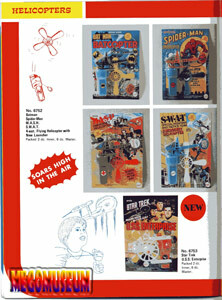 Special Thanks to Mike Jimenez for all the pics and information.